Mr. Charles Kenneth McDonald, 87, of Walterboro, entered into rest Saturday afternoon, January 19, 2019, at Hallmark Health Care in Summerville following an extended illness. A son of the late James Kye McDonald and the late Lillie Mae Fowler McDonald, he was born September 28, 1931, in Vidalia, Georgia, and made Walterboro his home in 1963. 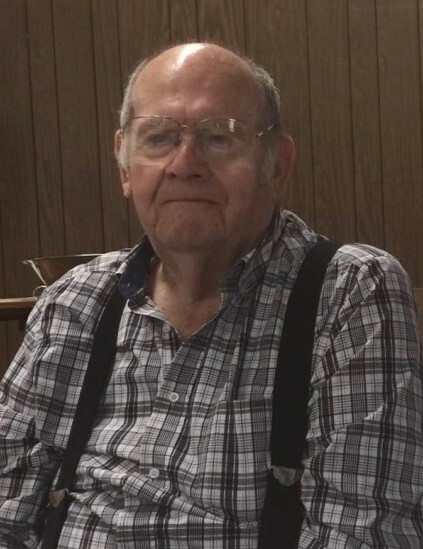 He loved driving eighteen wheelers, and dedicated a career that spanned over fifty years to driving; having began with hauling livestock eventually transitioning to produce and retiring with timber. He was a member of First Christian Church in Walterboro; and was a charter member of the Colleton Saddle Club. Surviving are: his wife, the light and love of his life for sixty-eight years, Mrs. Eudine Brantley McDonald; six children, Morgan Wayne McDonald and his wife Iyvone of Kennesaw, Georgia, Wendell McDonald and his wife Patsy of Walterboro, Wesley McDonald and his wife Teresa of Walterboro, Wyleen McDonald of Statesboro, Georgia, Wade McDonald and his wife Terry of Tennessee, and Wanda McDonald of Adams Run; and a brother, Jack E. McDonald of Vidalia, Georgia. There are fifteen grandchildren and twenty-five great grandchildren that also survive. He was also blessed to know the love of two wonderful caregivers, who quickly became a part of the family, Flo Hamilton and Helen Douglas. He was preceded in death by two grandchildren; two brothers, Paul McDonald and Johnny McDonald; and three sisters, Curba Lee Williford, Melbra Cowart, and Annette Vaughn. In lieu of flowers, the family suggested that memorial contributions be directed in his memory to: First Christian Church, 432 Carn Street, Walterboro, South Carolina 29488. Funeral services will be conducted 2:30pm Tuesday afternoon, January 22, 2019, from The Brice W. Herndon and Sons Funeral Chapel, Walterboro. The Reverend James W. Williams, Jr. and The Reverend James Day officiating. Entombment will follow in Glendale Memorial Chapel Mausoleum, 2210 Mount Carmel Road, Walterboro. The family will receive friends during a time of visitation prior to the funeral ceremony beginning at 1 o’clock that afternoon at THE BRICE W. HERNDON AND SONS FUNERAL HOMES AND CREMATORY, WALTERBORO CHAPEL, 1193 Bells Highway, Walterboro; 843.538.5408. Visit our online registry at: www.briceherndonfuneralhome.com.